Good experince, most of them were locals from India, who lived in Dubai. Friendly people. 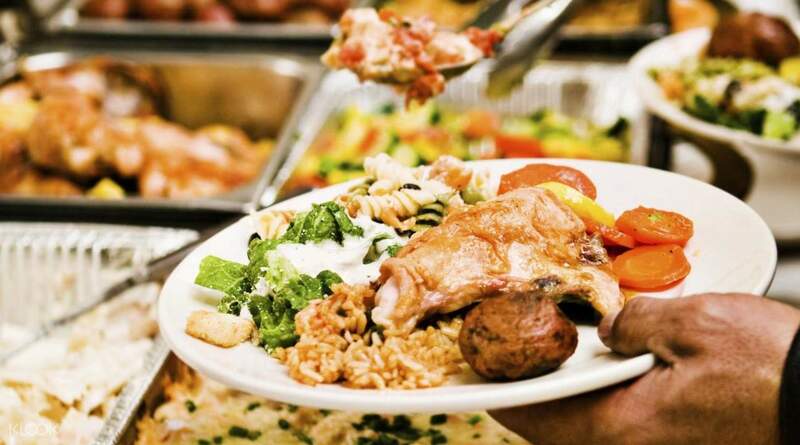 U got served tons of good food as an buffet. For the most it was indian food, but for me, that’s good. So i recomend this trip. Only downside was the backround music, sorta Indian dubstep/acid music, and that don’t fit in under a dinner. 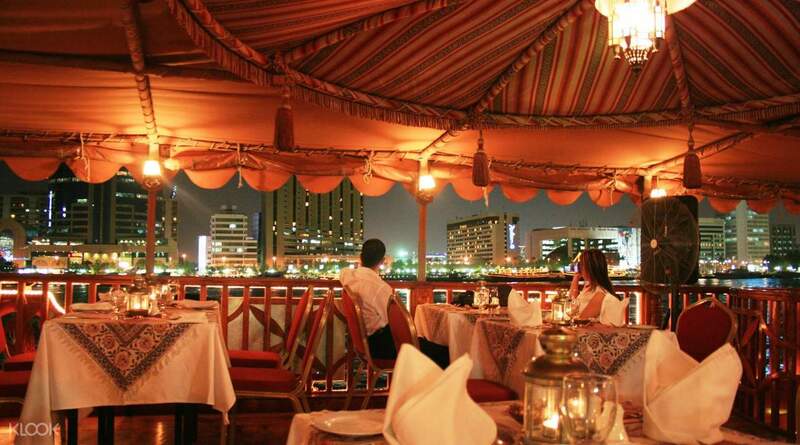 The Dhow Dinner Cruise takes you along Dubai Creek, located in the most popular spot in the city and regarded as one of the top ten things to do in Dubai. 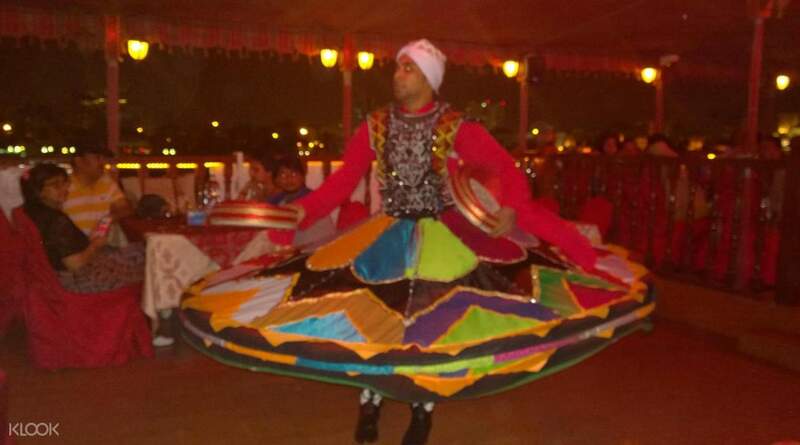 The cruise brings together the traditional components of Arabic culture through a Tandora show and sumptuous local foods, combined with the modern views of Dubai city. 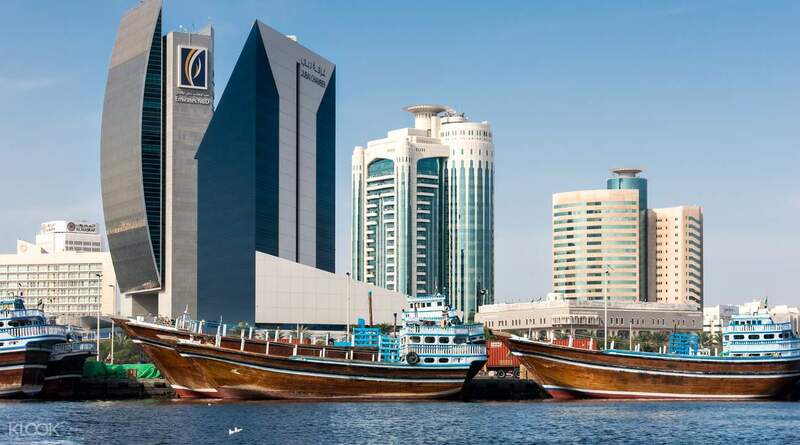 Climb aboard a dhow (traditional boat) and discover the most iconic places along Dubai creek from a new perspective. Watch the illuminated skyline and pass by the Gold Souk, Spice Souk, Hyatt Regency, and the old town of Dubai. Choose between sitting on the upper open air deck or the air conditioned enclosed ground deck, both offering great panoramic views. Enjoy live entertainment during your international buffet experience with unlimited soft drinks. This activity is hard to pass up because it makes a perfect worry-free romantic night with hotel pick up and drop off included. 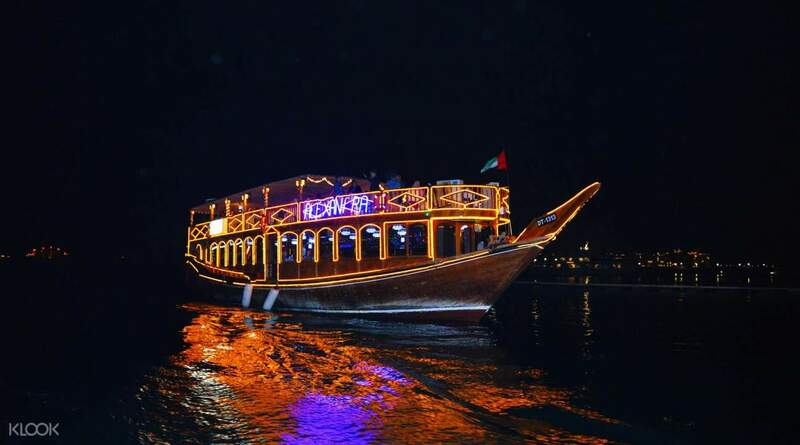 Rayna Dhow Cruise, Marsa Al Seef Opposite British Consulate, Bur Dubai. Overall experience is good. Worried about the taste of the food when I was reading the reviews, but it turns out the food is quite nice. The performance is good and they have invited some girls out for performing (dancing), everything is good but it will be better if the pick up can come on time. Overall experience is good. Worried about the taste of the food when I was reading the reviews, but it turns out the food is quite nice. The performance is good and they have invited some girls out for performing (dancing), everything is good but it will be better if the pick up can come on time. The place is located along al seef street. Al seef is such a nice place to take pictures. We recommend you to come early so that you can take pictures around there before going on the cruise. Food was plentiful and tasty. The cruise suddenly turned into a dance floor as some people from our group danced along to the songs being played. Overall, we really enjoyed our time. The place is located along al seef street. Al seef is such a nice place to take pictures. We recommend you to come early so that you can take pictures around there before going on the cruise. Food was plentiful and tasty. The cruise suddenly turned into a dance floor as some people from our group danced along to the songs being played. Overall, we really enjoyed our time. entertainment and food was so good [ᾑ7] I really loved the entertainment it was so funny. [ᾑ7][ᾑ7] its very cheap and recommendable. plus the service of roudtrip pick up and drop off. entertainment and food was so good 🤗 I really loved the entertainment it was so funny. 🤗🤗 its very cheap and recommendable. plus the service of roudtrip pick up and drop off. It was very good evening relaxing period with very nice wind blowing all around after a very tiring day followed by a delicious dinner and a very spectacular show. It was very good evening relaxing period with very nice wind blowing all around after a very tiring day followed by a delicious dinner and a very spectacular show. It's was awesome experience food was good location is good also in this package u can enjoy to see the dance and u can dance if u want at the end all over its was NYC experience with my family . It's was awesome experience food was good location is good also in this package u can enjoy to see the dance and u can dance if u want at the end all over its was NYC experience with my family . The local operator is responsive and driver is punctual. Food is better than expected. The Tandora dance is ver impressive. The dancer is good at interacting with the audience. The local operator is responsive and driver is punctual. Food is better than expected. The Tandora dance is ver impressive. The dancer is good at interacting with the audience. Really good, worth and value for money. Enjoy a lot. Really good, worth and value for money. Enjoy a lot. amazing experience. ultimate work u guys are doing. amazing experience. ultimate work u guys are doing. The show worth the whole tour, the food wasn’t very good and we had to wait until almost all passengers serves their dishes in the buffet. The show worth the whole tour, the food wasn’t very good and we had to wait until almost all passengers serves their dishes in the buffet.